One can’t help but be distracted by the fantastic cakes when visiting this elegant café, but there’s a wide range of chocolate here, too. The finest chocolates from around the world are combined with fruit and delicious flavors – mint, ginger, coconut or freshly roasted hazelnuts do not sound so bad, do they? :) The hot chocolate portion comes with a real thick chocolate, but if you want something less heavy, try their chocolate cocktail! Mondieu belongs among favorite spots of locals and tourists for a reason – these trendy French-styled cafes with warm interior offer healthy meals as well as many options for a delicious sugar fix. Try yourselves! 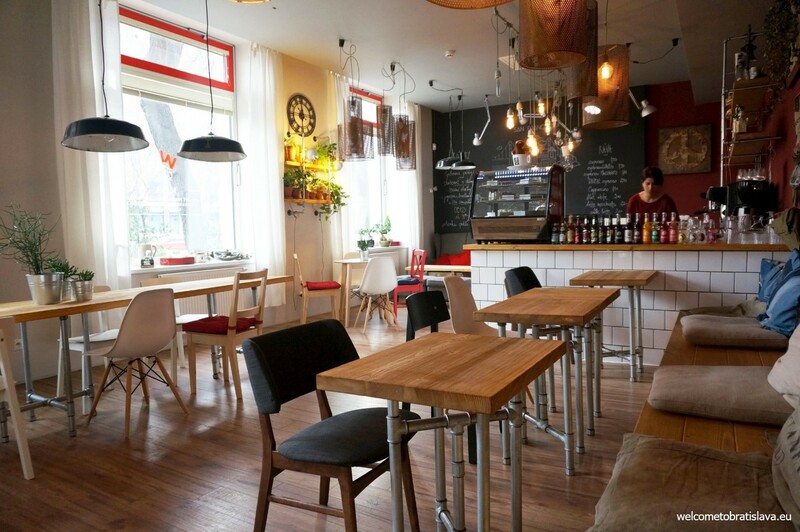 Kapucino is a cute café with wonderful, locally handmade macarons (biggest in the city! 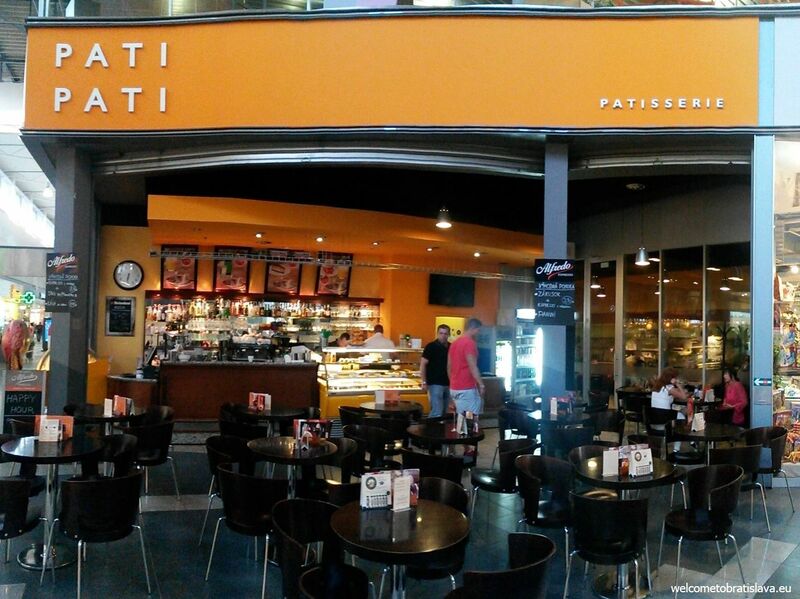 ), great Italian coffee and one of the best Italian gelato we have had in Bratislava. 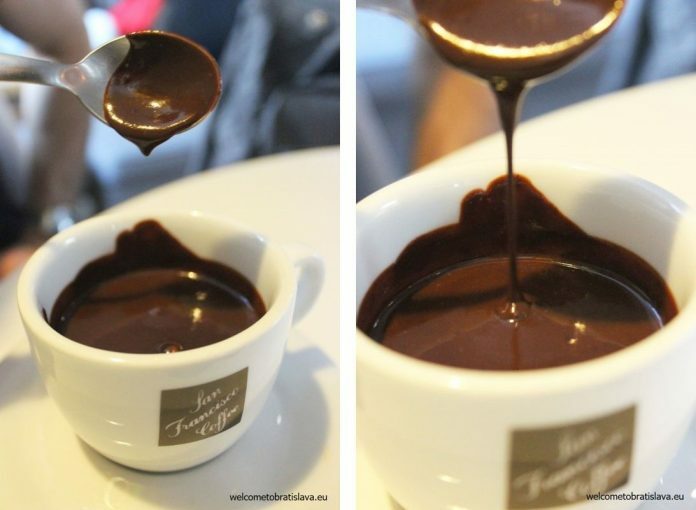 During the winter, the ice-cream is replaced by the seasonal hot chocolate which is semi-dark and truly rich and creamy. This hot chocolate had an amazing texture – exactly the way we love it. Your romantic soul will be on cloud nine from the beauty of this place in the pastel colors and feminine decor. Don’t miss a chance to enjoy genuine atmosphere and one of the most outstanding services we experienced in our city. The only minus point of this place is its location. It is housed in Avion, one of our biggest shopping malls, 25 minutes bus ride from the main train station (near the airport). For a cup of thick and splendid Belgian hot chocolate, you can also pay a visit to the hip W Cafe located near to the main bus station. You can choose milk, dark or white chocolate, and they also offer chili, mint or nuts with it if you feel like having your choco with a taste of something else. 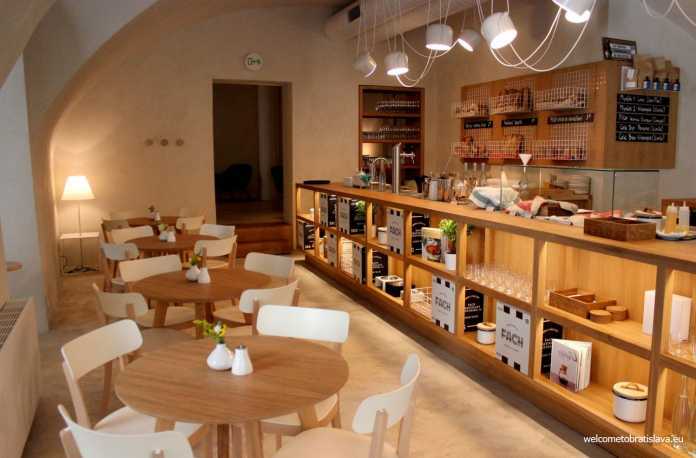 Other than hot chocolate, their menu includes several special hot drinks – mixtures of Slovak spirits, wines and juices, for the fans of sweeter and fragrant tastes. 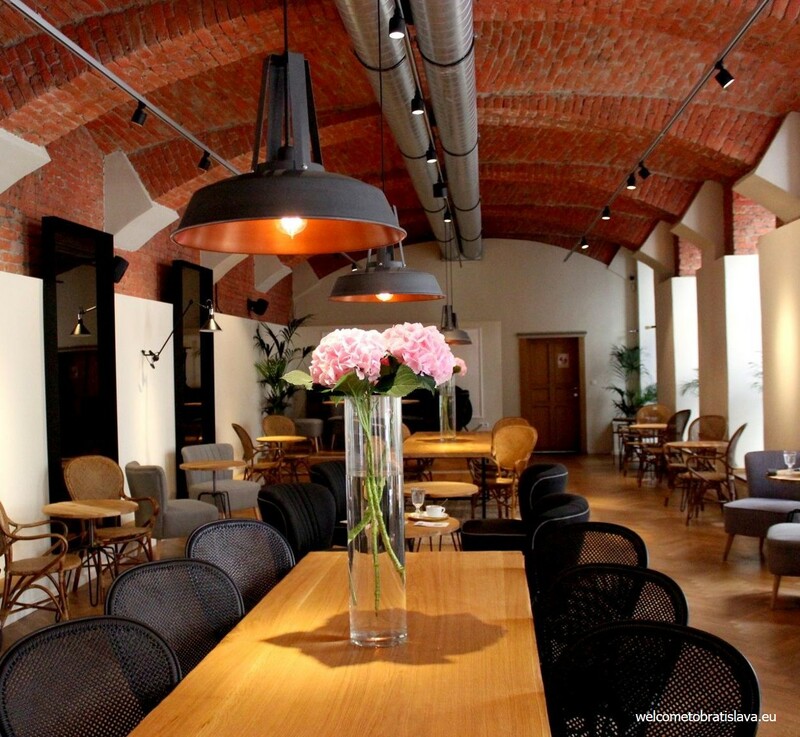 You will feel immediately welcome and cosy here because of how its interior is designed – the industrial premises are replenished with lamps from old factories, metal materials and chairs of all different kinds and styles. 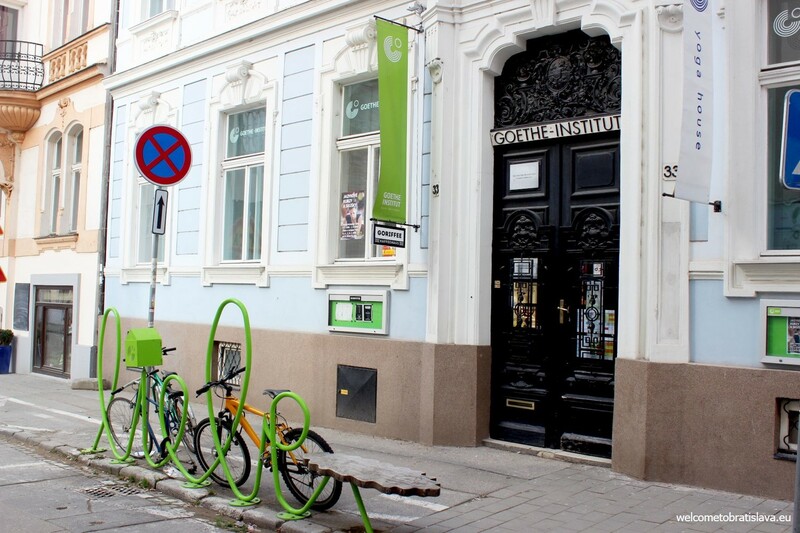 Another spot for delightful chocolate is Goriffee, a small coffee house which is part of Goethe’s Institute (German cultural institute), located within its library’s premises. 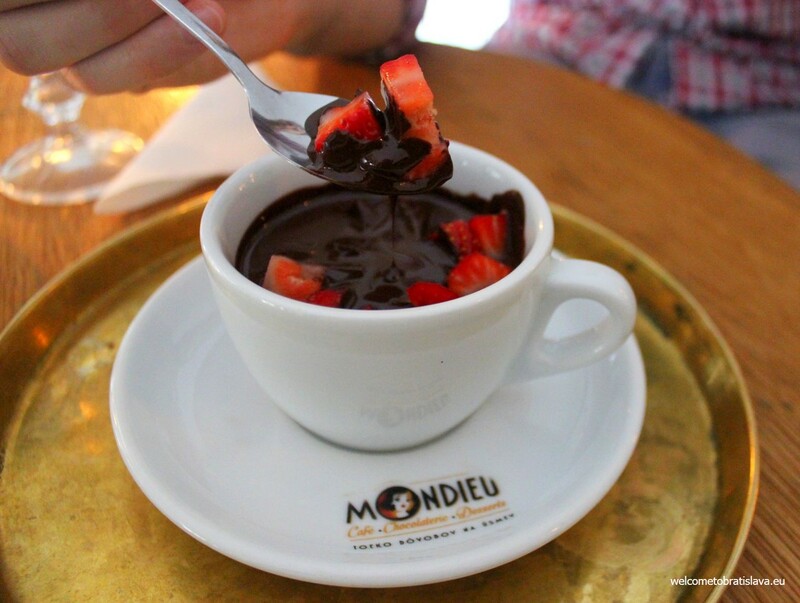 The only chocolate (but definitely worth trying) available on the menu is dark hot chocolate which is thick, smooth and without the pudding-like texture. You can feel high percentage of cocoa in it. Apart from the friendly staff and high quality treats, you can relish a large selection of German books and board games from the library. We love their simple premises with irregularly shaped tables and beautifully decorated hot drinks, as Goriffee baristas participate at prestigious coffee competitions. Apart from the hot chocolate, the specialty of this place is the selection coffee Garuka imported from Rwanda or Columbian hot cocoa Casa Luker. 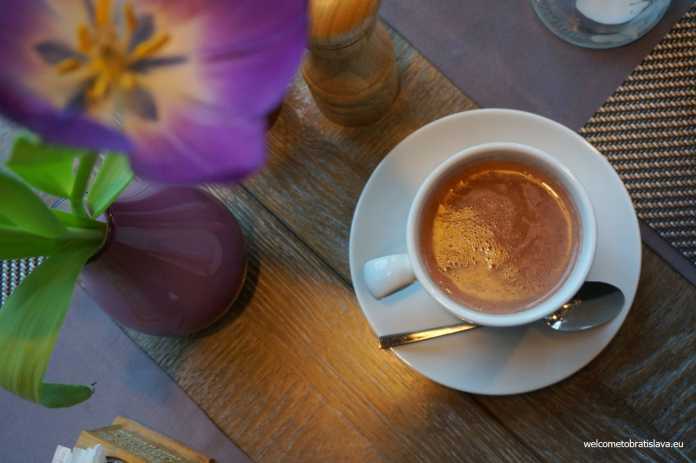 If you want to enjoy your cup of hot chocolate in a nice atmosphere reminding you of the old Pressburg times, you might want to visit the Korzo restaurant. 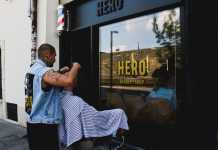 It is located in the very heart of the city, next to the Slovak National Theater, on the busy promenade of the Hviezdoslav’s Square. It has a wide menu including fantastic options of desserts. They only have one type of chocolate. It is not the thick kind which you would have to eat out with your spoon, rather a milky one, easy to drink. Not super sweet but still tasty, great as an alternative to your dessert after the main meal. 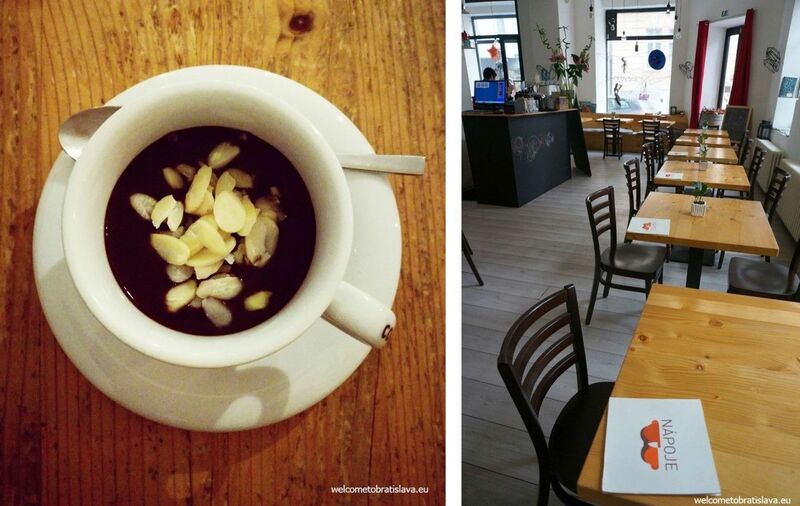 If you prefer not so thick hot chocolate, you might fall for the one in Zeppelin Cafe. The texture of this warm treat is something between watery and pudding-y – which however does not need to mean anything bad. This way the chocolate drink, for us which it was, is not so super sweet or heavy. Unless you ask for additional ingredients like marshmallows, chestnut pure, coconut, other nuts or seasonal fruit :) You can choose from milk, dark and white chocolate and the whipped cream is also optional. 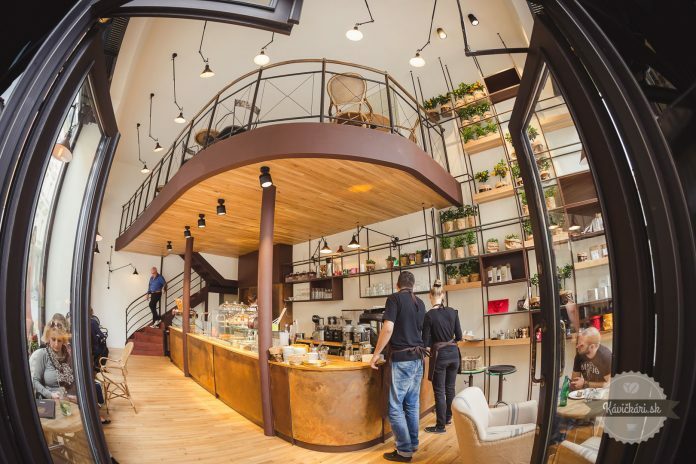 With its pure lines, white and grey combinations and many small decorative details, Enjoy Coffee has great charm and style and represents a relaxed atmosphere – you will surely enjoy your visit. 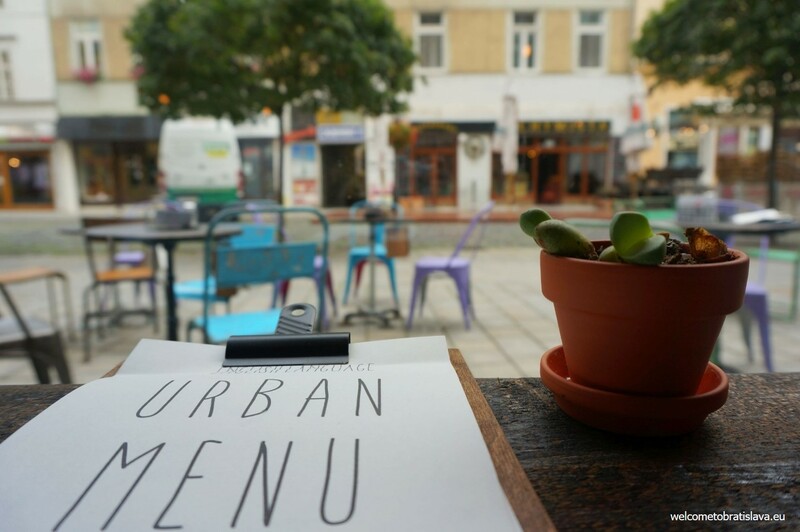 Both urban branches – the Urban House and Urban Bistro have hot chocolate on their menu. They both offer only single origin 70 % dark or milk hot chocolate. 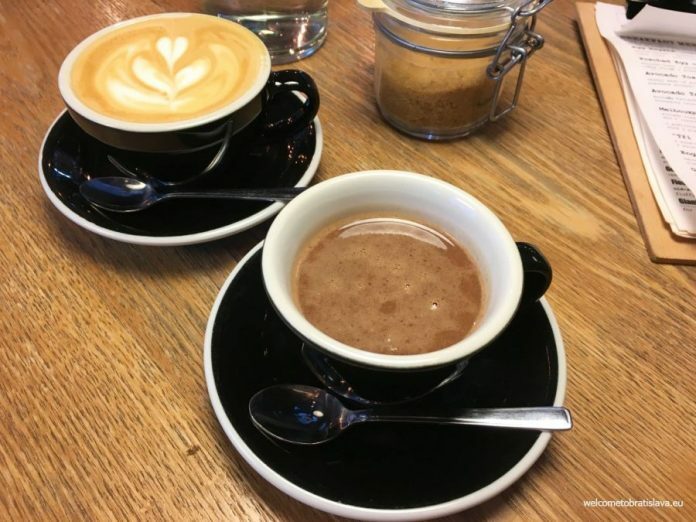 Their hot chocolate is not too thick and not too watery, however it is perfect for drinking – we recommend to try the milk one which was super delicious. 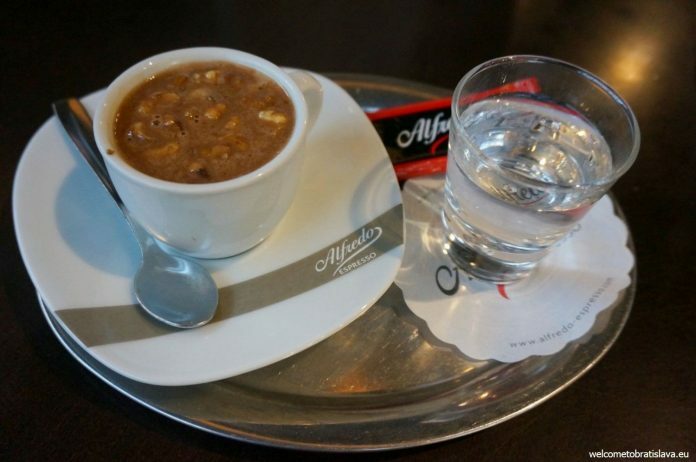 Just the right thing for those cold or rainy days when you want to warm up with something tasty. 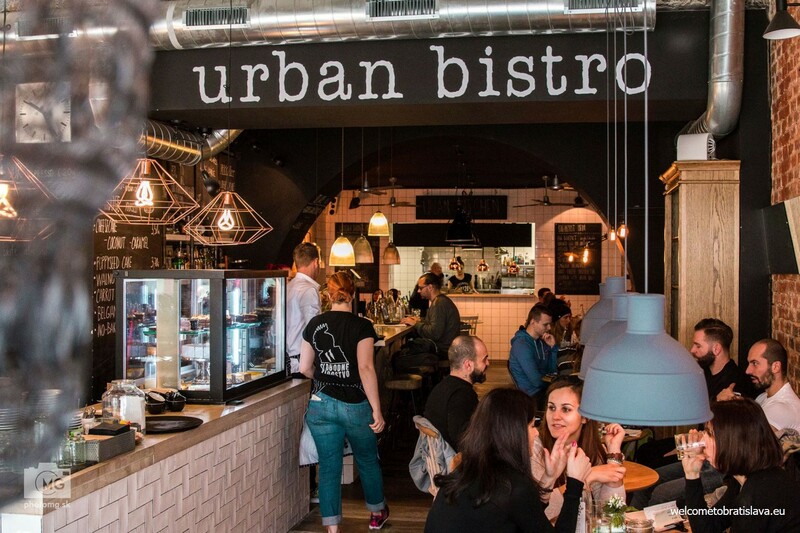 This spot is a really cool and hip bistro with healthy and tasty meals and a regularly changing menu for each season. Choose dark (54%) over milk chocolate for a more intense chocolate flavour. 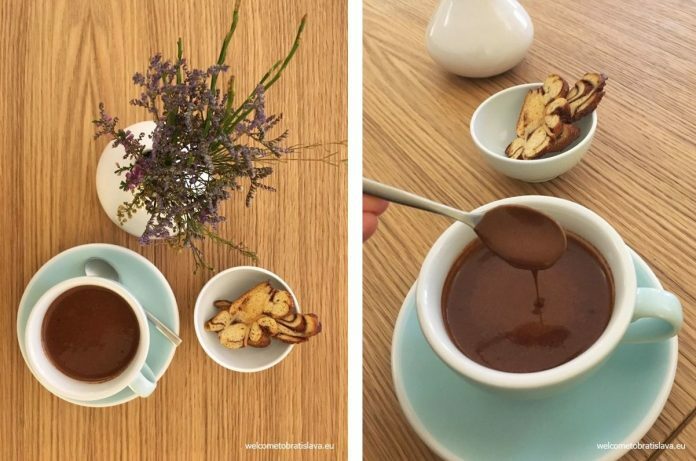 At U Kubistu you will savor a medium thick choco pleasure with almonds that make your treat a little crunchy, but still classic. Come to this place if you like your hot chocolate rich and deep in taste, and you prefer a comfortable atmosphere – and you can make sure that you will both warm up your cold days and satisfy your sweet tooth in the same time. 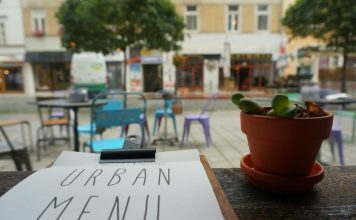 Visiting Škodovka café is an experience on its own – genuine retro interior of the 80’s with contemporary music and unique atmosphere. You will even find here a model of an original Škoda car and many museum pieces of a socialistic Czechoslovakia including old-school chairs and sofas, an old telephone, a radio or a vacuum cleaner! We tried their hot chocolate with raspberries and whipped cream and since a combo of the raspberries and the chocolate is our soft spot, we cannot stay fully objective here:D The hot chocolate was a bit more liquid than what we like but despite of that very intense in its flavor and very rich. We had problems finishing the portion. 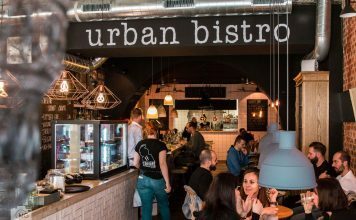 Whether you prefer to stay traditional with plain milk, add complementary flavors or some extra booze, you are good to go in Bratislava’s cafes. Enjoy! 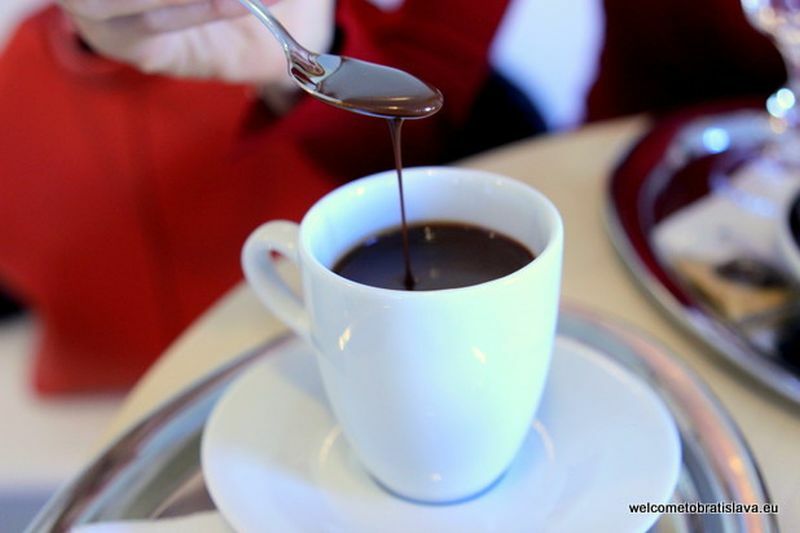 We had the best hot chocolate i remember in Bon Bon.